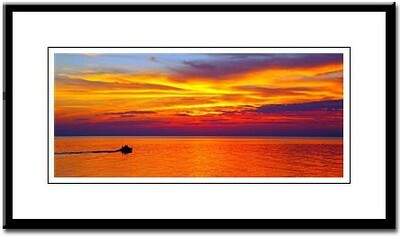 Here are a few photos I offer at my Cafepress online store. If you are interested, click the links provided below. If you see any images on my blog you are interested in, please, leave a comment here. Over The Rainbow. Hot air balloon rising over a another being inflated. Taken at Jamesville Beach (NY) annual balloon festival. Print is perfect for the home or office. It’s custom manufactured using archival inks and acid-free paper and comes matted and framed in a stylish black frame with Plexiglas cover. Frame includes complete backing. Frame size: 13″ x 16″. View Item. Up, Up & Away! 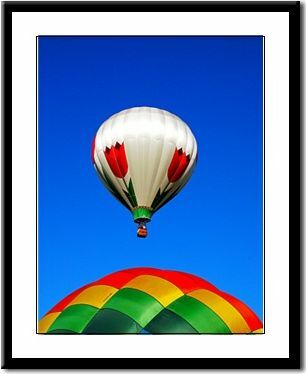 Colorful hot-air balloon rising into a blue sky. Taken at Jamesville Beach (NY) annual balloon festival. Print is perfect for the home or office. It’s custom manufactured using archival inks and acid-free paper and comes matted and framed in a stylish black frame with plexiglass cover. Frame includes complete backing. Frame size: 19″ x 13″. View Item. Evening Cruise. Boaters heading out just after sunset on Lake Ontario near Oswego, New York. Print is perfect for the home or office. It’s custom manufactured using archival inks and acid-free paper and comes matted and framed in a stylish black frame with plexiglass cover. Frame includes complete backing. 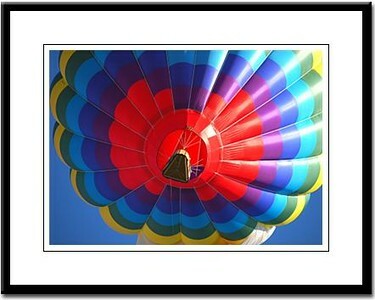 Frame size: 19″ x 11″. View Item. Wow! Wonderful colors! I love them all, but “Over The Rainbow” most. I am interested in another print that you do not have offered here.